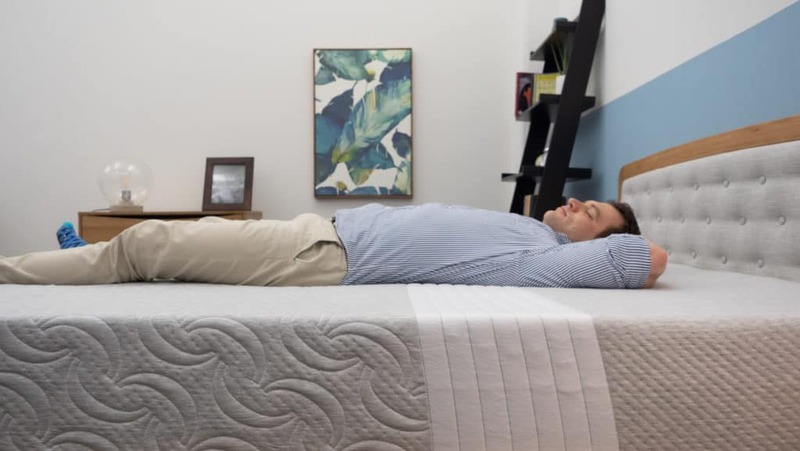 If you’ve ever woken up with a sore or stiff back, then read this review of the Level Sleep mattress — an all-foam bed designed specifically to alleviate back pain. 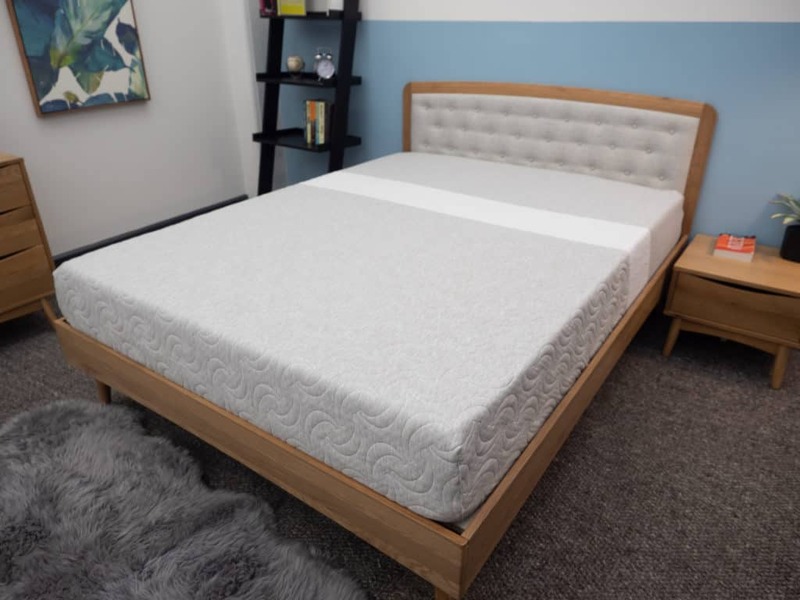 The mattress’ main feature is a proprietary, TriSupport Zoned Support construction, which utilizes three different levels of comfort to support the lumbar and align the spine. Before it hits the market, the Level Sleep bed spent ten years in the lab, where it underwent clinical trials, patent reviews, and rounds of design and development. While the Level Sleep mattress has received endorsements from numerous sleep experts, I’m curious to experience the bed for myself. Will you level up your sleep with the Level Sleep Mattress? Keep reading to find out. If you’re short on time, click here to skip to the bottom for a summary. Level Sleep is on a mission to solve the problem of back pain for all types of sleepers. 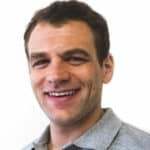 As I mentioned above, the company spent a decade designing and testing the Level Sleep mattress, with the goal of reducing discomfort, diminishing fatigue, and improving quality of sleep. It’s important to note that while Level Sleep has worked with certain sleep experts, the company doesn’t provide medical advice, and any pain or sleep issues should be consulted with your doctor. That said, while a bed can never be the only solution to aches and pains, Level Sleep is hoping its bed increases a sleepers chance of having a comfortable night’s sleep. In addition to the mattress, Level Sleep sells an adjustable bed frame (fully equipped with a massager!) and a patent pending Snore Relief pillow. The Level Sleep Mattress is a 10” all-foam mattress constructed with two layers of high-quality, durable polyfoam. The top layer features three zones of support that work together to cradle the spine, while the bottom base acts as a strong foundation for the entire structure. Let’s get in bed and dive into the details. Cover – The top of the Level Sleep bed features a synthetic blend cover that incorporates a four-way stretch technology meant to wick moisture away from the body. Based on my experience, the cover is pretty thin and doesn’t change the feel of the foam layers below. Comfort Layer – Here is where the TriSupport Zoned construction comes into play. The entire top layer is 3″ of polyfoam and broken into the following sections: head and shoulder, torso, and hip and leg. Head & Shoulder Zone: The upper section of this comfort layer is made with soft, cushioning polyfoam. In general, polyfoam tends to respond much quicker when pressure is applied, so you won’t get that contouring and hugging quality that a material like memory foam might provide. You can press easily into this section, so your shoulders should sink into the mattress to experience some pressure relief. Torso Zone: As we move down the mattress, this center zone features a firmer polyfoam to support the lumbar region. This firm foam is intended to keep the body on top of the bed so you won’t sink too far into it and is positioned near the middle of the spine to ensure healthy alignment. Hips & Leg Zone: The final layer in the TriSupport Zoned construction is a medium-support polyfoam. The medium firmness provides a nice balance of comfort and support, working to support your hips and glutes while aligning your lower spine. Overall, this comfort layer is firmer in certain parts of the mattress where the body tends to apply more pressure. The shoulders sink in with soft foam, the torso is strongly supported with firm foam, and the bed provides a medium-firm feel for the legs and hips. This “zoning” treats the hips and shoulders differently, promoting a more natural spinal alignment for the sleeper. Base Layer – The bottom of the bed is constructed with 7” of sturdy and supportive high-density polyfoam. While you might not feel the effects of this layer, the firm foam here provides durability and support to the entire mattress structure. Now that we’ve uncovered the various levels of the Level Sleep mattress, let’s unpack how firm this bed will feel. I’d rate this bed a 6.5 out of 10 on the firmness scale, thanks to the combination of soft, medium, and firm foams throughout the mattress. Even though the overall firmness level is medium firm, you can actually experience the various levels of firmness as you push through the bed. The shoulder section is very soft — I’d rate it a 5 out of 10 — the middle section is about a firm 8 out of 10, and the bottom section provides a 7 out of 10, medium firm feel. I also asked a few other people what they thought, and they all rated the bed a 7 out of 10 — a touch firmer than my 6.5 score. After laying down and rolling around on the Level Sleep bed, you can tell it was designed with side sleeping in mind. When I was on my my side, the soft shoulder area allowed the top portion of my body to sink in, helping to relieve pressure in my upper back. That said, I didn’t feel like I was pressing in too much, and still felt like I was lying on top of the bed instead of sinking into it. This is due to the quick response from the top polyfoam layer, followed by the firmer foams situated near the torso and lower back. Therefore, side and back combo sleepers might really enjoy this bed, since they need pressure relief at the shoulders, something a bit sturdier for the back, and enough bounce and mobility in order to roll around and change positions. However, the firm torso support will also suit stomach sleepers, so if you’re a stomach and side combo sleeper — you’re in luck! You’ll get sturdy support for your hips so they don’t sink too far into the bed, while still receiving pressure-relieving softness for the shoulders. 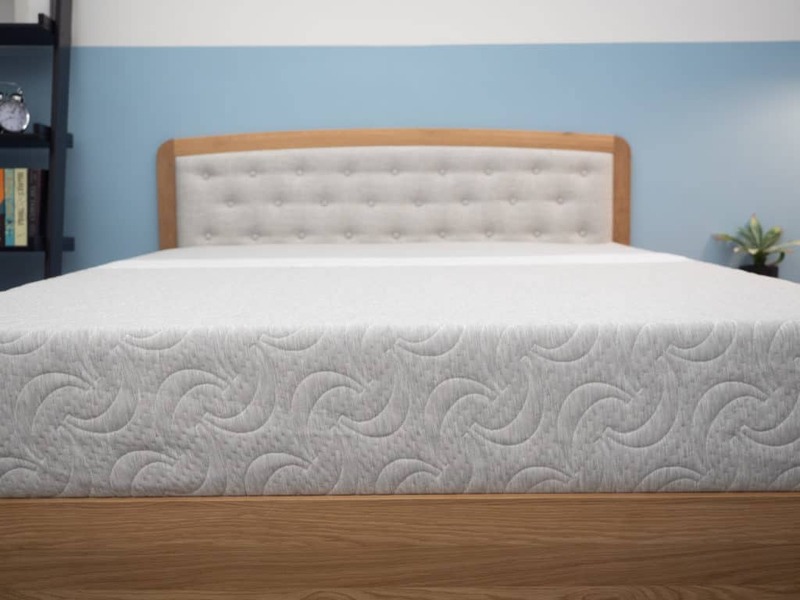 Overall, the Level Sleep combines different firmness levels of foam to provide a medium-firm feel, with extra softness and sinkage for the shoulders and sturdy firm support for the lumbar and spine. While I was on the bed, I also tested its edge support. 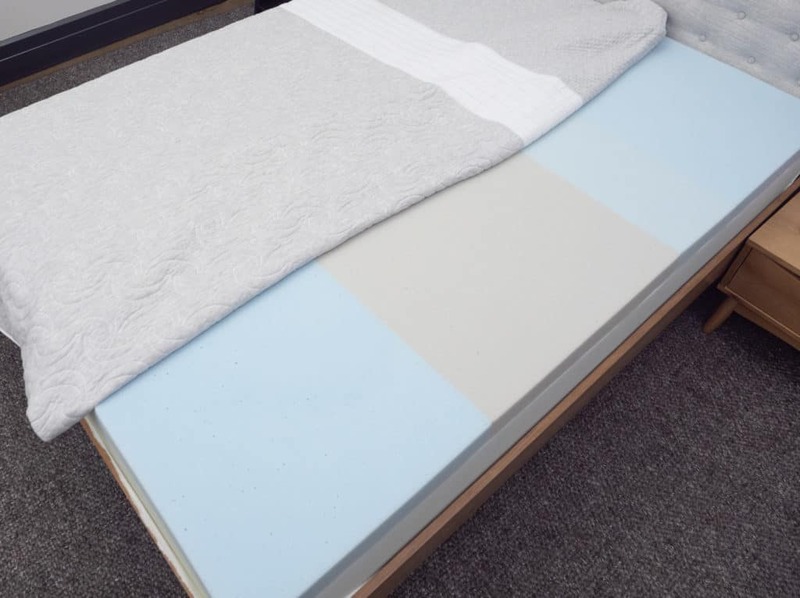 A lot of foam mattresses are known for collapsing on the side of the bed, but the firm center of the Level Sleep mattress provided a sturdy structure across its entire surface area — including the edge. This means you shouldn’t feel like you’re falling off the mattress if you roll to either end. A common reason people experience aches and pains in bed is from pressure points building up overnight. 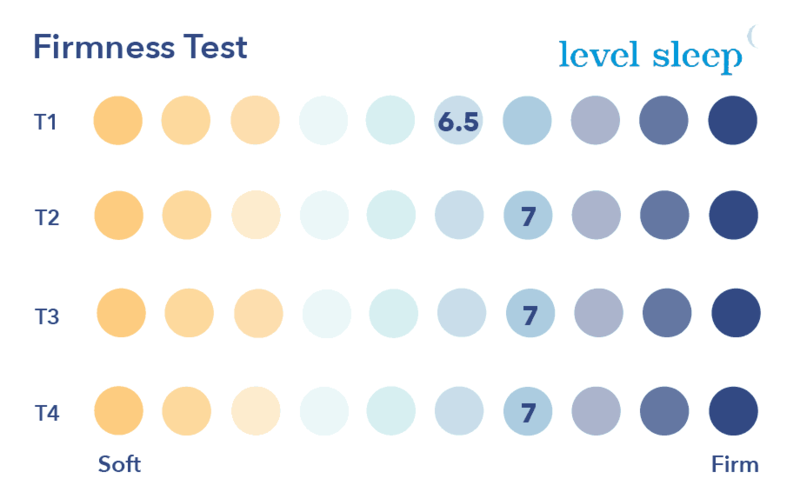 To see how Level Sleep performs with pressure, I ran a pressure map test to see where these pesky tension points might form after certain amounts of weight are placed on the bed. 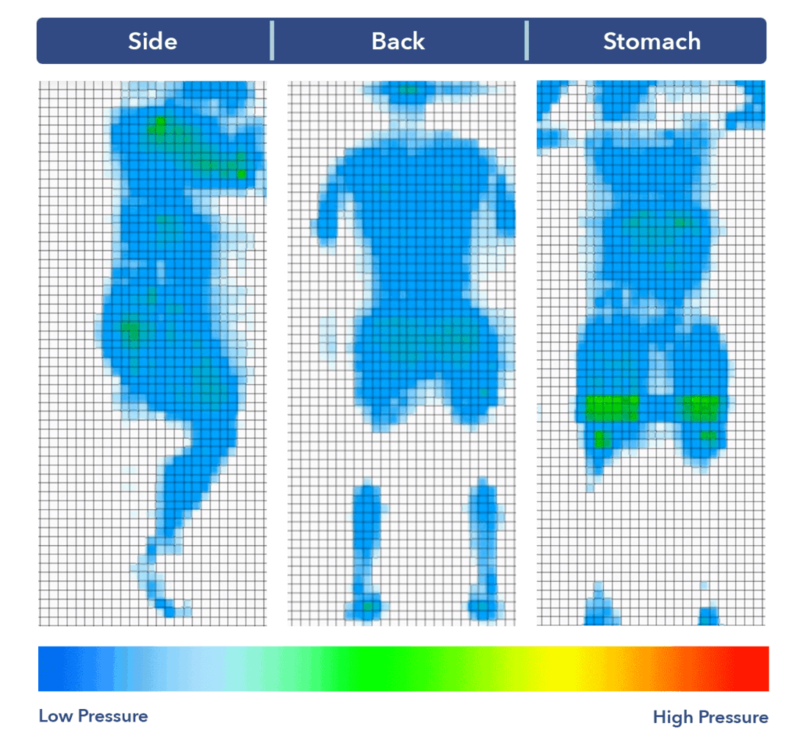 Back – On my back, you’ll see that there is blue across the board, which signals that my weight was evenly distributed throughout the mattress and no pressure points were forming. While I did feel some sinkage in the shoulder region, the firmer back support helped lift me up out of the mattress and ensured that I didn’t feel “stuck” in bed. Side – You’ll see a little bit of green on this map due to my shoulders sinking into the bed. However, the Zoned Support at the torso region (which features that firm foam!) helped keep my spine aligned while allowing my shoulders to get some cradling comfort. Stomach – Similar to my back, my weight was evenly distributed across the bed while my hips were well supported to prevent them from sinking into the mattress. You don’t often find extra hip support offered on a medium-firm foam bed, so stomach sleepers should enjoy having specific love near the pelvic region. Another important component of feel is whether you’ll feel like you’re sinking “into” the mattress or lying “on top” of it. I was especially interested in running this test, since I felt both sinkage in the shoulders and lift towards the bottom of the bed. To run the test, I placed four balls of varying sizes and densities (a 6 lb medicine ball, a 10 lb steel ball, a 50 lb medicine ball, and a 100 lb medicine ball) on the mattress and measured how much they compressed the surface. The variations in size, weight, and density are meant to simulate different body parts and different sized sleepers. I also measured the sinkage for each ball in all three firmness zones. Since I ran this test in each Zoned section, the graph above shows a lot of numbers. However, what’s important to know is your body sinkage could fluctuate 1-2 inches on the bed, from the firm center to the soft upper part of the mattress. For example, if you’re on your side, you can expect your shoulders to sink up to two inches more than your legs. This means you will feel a little sinking in the shoulders, but you’ll still experience that “on top of bed” feeling, with each part of your body being well supported by the different firmness levels of foam. While I had my 10 lb steel ball out, I also ran quick bounce test. I dropped the ball to see how much air it would catch. As I expected — due to being able to roll around easily and change positions — the quick response to pressure from the polyfoams gave the ball some bounce. This suggests you won’t feel stuck and too “hugged” in bed. Lastly, the motion transfer test helps demonstrate the amount of disturbance you might feel from one side of the bed to the other. This is especially important for people who share your bed with a partner. To illustrate this motion transfer, I dropped a 10 lb. steel ball from heights of 4 inches, 8 inches, and 12 inches and measured the disturbance it caused. The bigger the lines, the bigger the disturbance. Each drop is meant to symbolize a different movement you’re likely to experience in bed, from tossing and turning (4”) to getting out of bed (8”) all the way to full on jumping (12”). 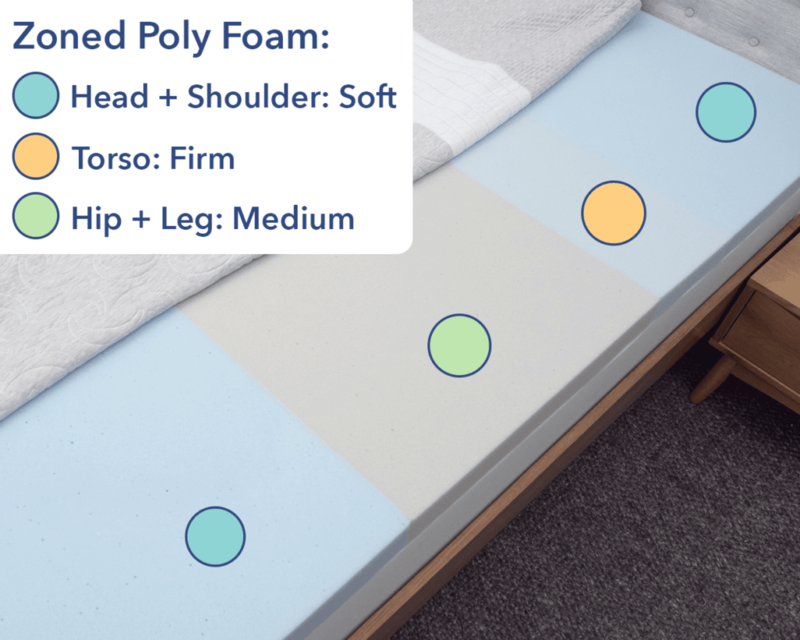 The results revealed what you’d expect on a polyfoam bed: a good amount of motion isolation with a little transfer from big movements. There was a small amount of motion transfer when I dropped the 12” ball, which could be equivalent to a partner jumping into bed. However, the mattress did a good job of dulling disturbance from those smaller movements, like tossing and turning and getting out of bed. 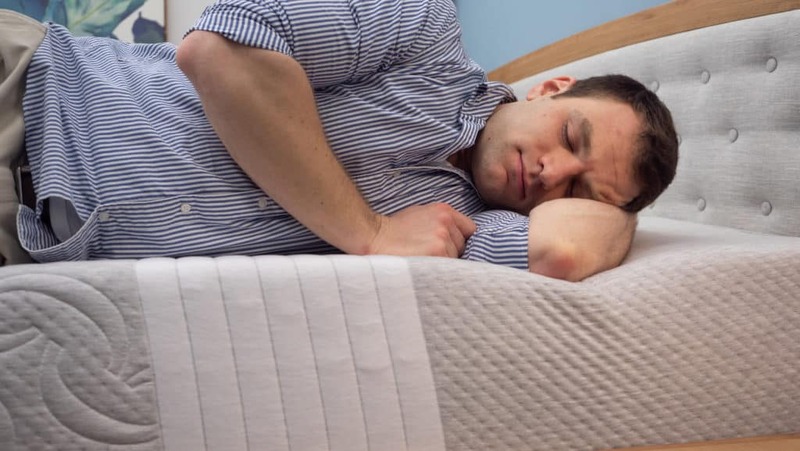 Is the Level Sleep Mattress Right for You? Now that we’ve uncovered all there is to know under the Level Sleep covers, here are the main reasons this mattress could be a good fit for you. You’re a side and/or combo sleeper – The Zoned Support is designed specifically for side and back sleepers who need plush support for the shoulders and hips and some firmness near the lower back and spine. 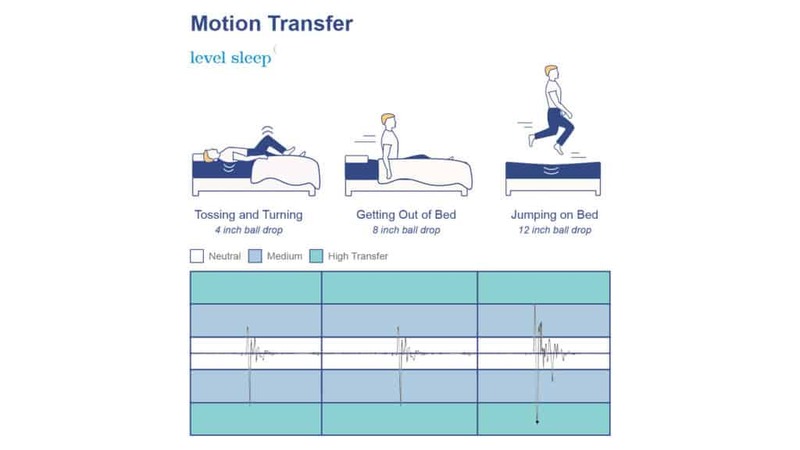 The Level Sleep could also be a solid choice for combo sleepers who need to move around freely through the night since there is ample mobility and a good bounce. You sleep with a partner – The Level Sleep Bed has great edge support, which means you can utilize the entire surface area of the bed. This is great news if you share the bed, whether with a partner or pet! You have some back pain – While you should consult a doctor if you have a bad back, The Level Sleep could contribute to a better night’s rest. The bed is designed with body alignment and cushioned support in mind, specifically for people dealing with back pain. It might not accommodate heavier folks – Larger people may have issues pressing through the comfort layer and down to the firm support layers. Also, the lack of a transition layer means your body could run right into the hard base foam at the bottom of the bed. Larger sleepers might want to consider a more supportive mattress that incorporates coils. The Zoned regions might not match up with your body – The TriSupport mattress has distinct areas where the bed is softer and more firm. Depending on where you lay on the mattress, your exact body part might not match up with the different comfort levels. A few people I spoke to said the torso section of the bed was too high up on the mattress. So, if you sleep a little lower down the bed, your shoulders might encroach that firm section and not experience the soft, pressure-relieving support. 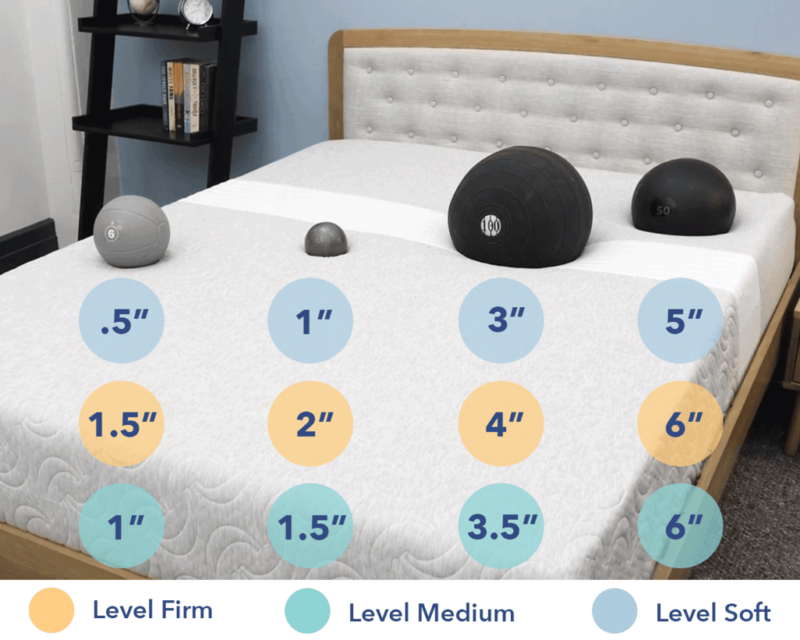 If you’re convinced the Level Sleep mattress is a great choice, check out the size and pricing information for the mattress below. 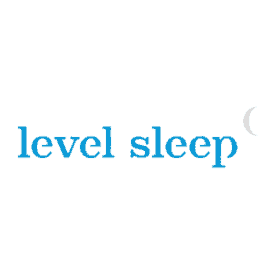 That’s it for me and the Level Sleep review! Feel free to leave me comments and questions below.